Randy has a blog called Mobile Kodgers where he writes about the freedom he finds on the road. Today Randy told the story of a long-time friend who lives in a private location on the Mogollon plateau in Arizona. The land she found is part of a giant failed real estate development where parcels regularly sell for just a few thousand dollars. Before you whip out your checkbook be forewarned that low prices like this often come with challenges most folks wouldn’t choose to face. But Taylor cleverly adapted to this rugged and remote environment. The house was built around a small 5th wheel trailer after she spent time freezing in the winter and baking in the summer. First the roof went up, followed by walls to keep out the wind. She even collects rain water from her small roof, 300 gallons from 1-inch of rain. 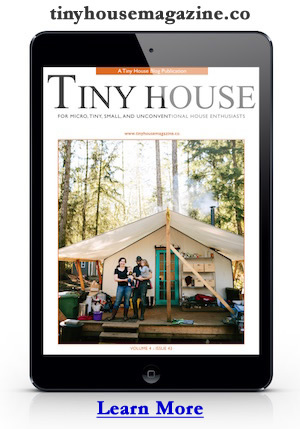 Read more about Taylor’s Tiny House on Mobile Kodgers. Photo credit to Randy. Love your house Taylor! This entry was posted in Tiny Living and tagged Arizona, Mobile Kodgers, Mogollon, Taylor, trailer.